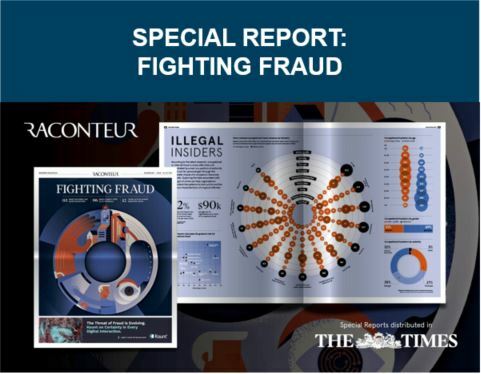 A new special report from Raconteur, published in today’s edition of The Times in London, calls out the growing trend of convergence of fraud and compliance. FICO’s Matt Cox discusses why this trend is pressing. “Taking a more holistic approach to fighting financial crime is challenging. Many organisations, particularly those that have grown through acquisition, struggle with a legacy of multiple-point solutions that are embedded into core business systems. 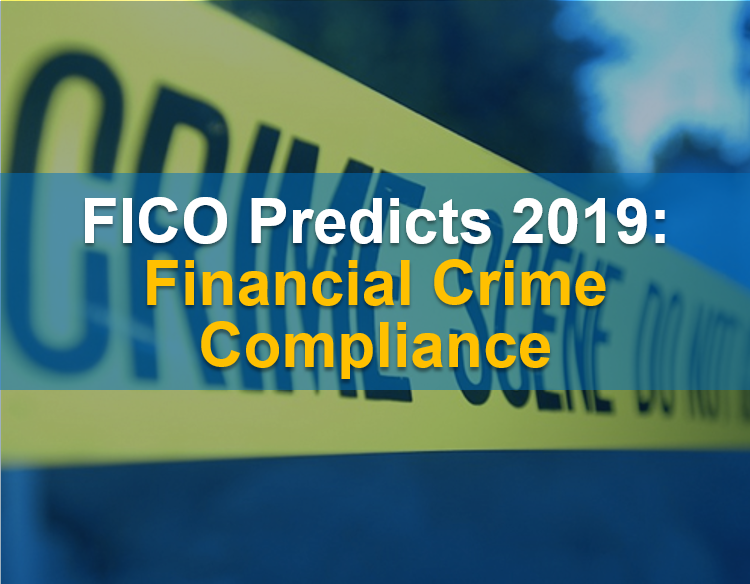 This results in silos and a lack of visibility across the financial crime life cycle; criminals take advantage of this. “A typical enterprise has both fraud and compliance departments. The fraud team is primarily responsible for fraud losses, while the compliance team helps the organisation to stay on the right side of financial crime legislation, most notably the regulations that govern money laundering and tax evasion. “The departments require much of the same information and both must take appropriate action when financial crime is suspected, but if they don’t share information then neither has a full picture of the customer. Numerous systems are maintained, which means maintaining multiple teams with their own skillsets that are not transferrable. “Customers can become frustrated with the inconsistency, such as having to provide the same information twice, and cases are often progressed inadequately when information is not available when needed. Running in silos makes the departments more costly to run, increases losses and prevents less financial crime, all impacting the bottom line. GDPR. DSS. NIST. These are just some of the acronymous names of major regulatory compliance frameworks that organizations need to know today. And with so many arcane acronyms to contend with, it can be hard to keep track of which regulatory frameworks apply to what. If you’re struggling to keep your compliance rules straight, this article is for you. Keep reading for a list of the most important regulatory compliance frameworks to know for 2018. The General Data Protection Regulation — better known as GDPR — is the latest and greatest major regulatory compliance framework to debut. The GDPR, which went into effect in May 2018, is a European Union regulation. However, because its requirements apply broadly to include, in general, any organization that does business in the European Union in some way or interacts with European Union citizens, the GDPR matters to many companies outside of the European Union. The GDPR requirements are too lengthy to detail here, but you can check out some of our other coverage of the GDPR to learn more — including what GDPR means for mainframes and expert GDPR analysis from Paige Bartley. 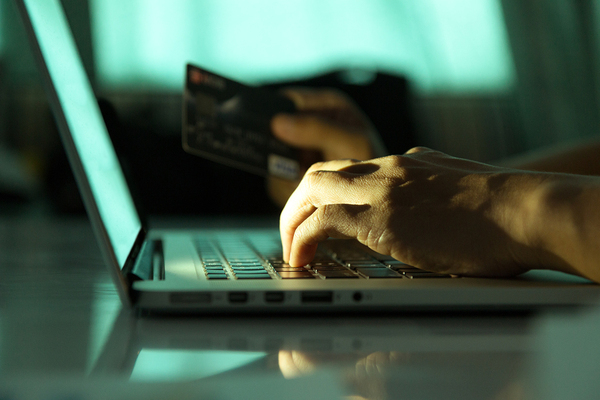 Credit card information is a pretty sensitive type of data, for reasons that are obvious. The Payment Card Industry Data Security Standard, or PCI DSS, is a regulatory standard developed by credit card companies to help protect cardholder data. It was introduced in 2004. If you process, store, or transmit credit card data, PCI DSS applies to you. The National Institute of Standards and Technology, or NIST, has developed what is known as the NIST Cybersecurity Framework, or just NIST for short. Technically, NIST is not a regulatory framework, but rather a policy framework. In other words, it represents a set of best practices for keeping data secure. So while you may not be legally required to comply with NIST (unless you are subject to contractual obligations or oversight by a particular government agency that is based on NIST standards), following the NIST guidelines is a good way to ensure that you are doing your best in a general sense to keep data and systems secure. The Health Insurance Portability and Accountability Act, or HIPAA, is one of the best known regulatory compliance frameworks among consumers in the United States. Introduced in 1996, it sets various standards and requirements regarding health data, among other things. HIPAA is relatively high-level and was introduced at a time when technology platforms looked very different than they do today (although it has been updated a bit since then). As such, HIPAA does not include much in the way of specific technical requirements for the way health data is secured, and the HIPAA rules are subject to a fair amount of interpretation when it comes to how they should be implemented from a technological perspective. Still, if you deal with health data in one way or another on any of your IT infrastructures, it’s a good idea to consult with HIPAA technology experts to ensure that you are adhering to best practices for securing and processing that data in ways the authorities would deem HIPAA-compliant. The 2002 Sarbanes-Oxley Act, or SOX, was introduced in the United States in an effort to combat corporate fraud. The law primarily focuses on regulating the accounting and transparency in processes of companies, and does not have any specific technological requirements. However, because the ways in which data is stored and processed are important for ensuring transparency and auditability, any organization that stores data electronically should keep SOX in mind as it designs its data processes. As you might have guessed from its name, FedRAMP, which is short for Federal Risk and Authorization Management Program, is a regulatory compliance framework that applies to United States federal agencies. It is designed to keep the cloud services and data that those agencies use secure. This means that, if you work with federal government agencies or help to process their data, you should take FedRAMP requirements into consideration. View our webcast to learn more about accelerating compliance for your IBM i systems. Considering that mainframes handle 68 percent of the world’s production IT workloads, mainframe security is a huge component of your overall IT network security. Mainframers recognize the importance of keeping the mainframe secure. Of the mainframe professionals surveyed in our 2018 State of the Mainframe Survey Report, 63 percent said that meeting security and compliance requirements is a top priority. Reducing security exposures, fulfilling audit requirements, and addressing compliance mandates remains a key initiative for IT executives and IT organizations. The cost of an audit, or even worse failing a compliance mandate, far exceeds the cost of the technologies that can be put into place to help address security and compliance initiatives. So let’s review common mainframe security challenges and best practices for reducing risk and meeting compliance regulations. In this blog post from earlier this year, we discussed common mainframe security challenges, which included data protection, data visibility and compliance. In IT network security, the term visibility means an understanding of what is happening in your systems and infrastructure. Visibility through monitoring the mainframe’s machine data provides the foundation for making informed decisions about security. In our recent blog post, “Maximizing Mainframe Visibility” we review how to overcome mainframe visibility hurdles. Compliance regulations provide guidelines for how businesses should be protecting critical customer data. Due to the sensitive nature of this data – and the potential harm to customers if it is not protected – the penalties for organizations that fail to comply with security regulations are quite considerable. The large fines given to businesses that do not meet compliance can cause irrevocable damage to the business both financially and in terms of the organization’s reputation. One of top five mainframe trends from our 2018 State of the Mainframe Survey Report noted the increased role of machine data (SMF and z/OS log data) in addressing security and compliance mandates. Organizations are looking at leveraging analytics platforms for security and compliance, and they understand the value that SMF and other z/OS log data can provide when coupled with emerging big data analytics platforms including Splunk, Elastic, and Hadoop. It was just a few years ago that Security Information and Event Management (SIEM) really starting gaining attention. Monitoring security information and events is the fourth step in our IT Operations Checklist for z/OS Mainframes, which includes monitoring data movement, dataset access operations and privileged/non-privileged user activity as well as analyzing network traffic for unexpected high data volumes. Syncsort’s Ironstream works with Splunk and Elastic platforms to help you monitor your mainframe log data as part of your larger IT network security and monitoring initiatives. Capturing user behavior, especially in real-time, is seemingly impossible if you rely only on data you collect from the various logs and SMF data. That’s why Compuware, in conjunction with Syncsort and Splunk, recently announced Application Audit, a software tool that aims to transform mainframe cybersecurity and compliance through real-time capture and analysis of user behavior. Users and IT administrators have the belief that the IBM i is a secure system on its own, but what is the actual truth here? While the IBM i is known to be a highly securable system, it also presents unique challenges to security auditors and system administrators alike. Syncsort has released an on-demand webinar titled, “Top Ten Tips for IBM i Security and Compliance,” to show the best ways to safely secure your system. Achieving a secure and compliant IBM i environment is often a complex and difficult process. External threats, the array of security regulations and the increasing demands of auditors continue to grow and evolve every day. The General Data Protection Regulation (GDPR) compliance deadline of May 25, 2018 has passed, but many organizations are still grappling with the data governance challenges it has created. Whether your organization conducts most, some or just a small amount of business in Europe, there are many aspects of data management you need to consider to comply with the regulation. Here’s some great sources of information from industry experts to help bring you up-to-speed. In our expert interview series with Paige Bartley, Senior Analyst for Data and Enterprise Intelligence at Ovum, she explains that some organizations may not reach the May 25th deadline. These will likely be smaller organizations, often based outside of Europe, that have a minority of their customers or employees based in the EU. They will have to adhere to the guidelines listed such as the documentation of processes, the correction of false data, and the transfer and ownership of data just to name a few. Data lineage, data quality, and data availability also are inherently linked to the GDPR and play a large part in compliance. Data Lineage is needed for the records of processing activities of personal data. This can account for how the data was handled, who handled it, and where it was handled. Good data quality will help in GDPR compliance initiatives because it means that data subjects will have less to correct incorrect data. Data quality is both a driver of compliance as well as a product of it. Data availability is cited directly in GDPR as part of Article 32’s requirement guidelines for the Security of Processing of personal data. High availability of systems, while not absolutely mandated, is highly encouraged for GDPR compliance. The GDPR applies not only to organizations that are based in Europe, but also to those that collect personal data from E.U. citizens who are located within the E.U., even if the company itself is not in the E.U. What this means in practice is that if you have, say, a website form that collects the personal information of visitors, and some of the people who fill it out are E.U. citizens who are located in the E.U. at the time that they fill out the form, that data could be subject to GDPR regulation. Similarly, if you partner with an organization that collects data from E.U. citizens, and some of that data is shared with you or otherwise comes under your ownership, the GDPR may also apply to the data. Another reason why the GDPR matters outside of the E.U., and why it is a good idea to start planning for compliance now, is that the regulation may inspire similar frameworks in other jurisdictions in the future. You can find more detail on those points here in our blog post. If you have a mainframe, the GDPR data management requirements may apply to it, even if the mainframe is not inside the European Union. If your company has any kind of presence in Europe, you may need to bring your mainframe data management practices up to speed with the GDPR, along with those of the rest of your infrastructure. In a post on GDPR Compliance for the Mainframe we gave some key areas that organizations should focus on when becoming GDPR compliant: data erasure, data sovereignty, timely data recovery, data pseudonymization, and data encryption. This isn’t a full list for GDPR Compliance but it’s a great place to start. GDPR Compliance is also changing the way that organizations approach machine learning. Katharine Jarmul, founder of KJamistan data science consultancy, stated that GDPR compliance changes a few of the ways that organizations have to inform users about automated of their data. Organizations will want to take note of their current notification process and make changes accordingly. What GDPR gives people is the motivation to get started on that. We’ve released a series of short webcasts in an effort to inform people of the importance in GDPR compliance. Check out these three great videos which focus primarily on Data Quality, Capacity Management, and IBM i Security. If you want to learn more about GDPR compliance and how Syncsort can help, be sure to read our eBook on Data Quality-Driven GDPR. If you’re in financial services (or any other regulated industry, for that matter), compliance comes with the territory. The flow of new regulations is not slowing down, and maintaining compliance can be a daily struggle. Controlling costs and being compliant is, however, critical to the daily running of your organization. That means financial transparency, data integrity, and internal auditing. And, as you know, the downside for getting it wrong can be hefty fines and remedial actions demanded by regulators – hence the low tolerance for unethical behavior and actions causing reputational risk. And the regulatory landscape for managing expenses and spending is constantly shifting. You either need a team of people whose job it is to stay on top of the rules and restrictions, or you find a cloud-based solution that gives you full visibility into travel and expense (T&E) budgets and spending and, as a result, financial control. Capture and connect all your travel and expense spend whether it’s booked through your booking tool, with your travel management company, directly with suppliers, or through virtually any other source. Make compliance easier for everybody by giving employees simple, mobile tools that use automated controls to keep spending within policy. Employ workflows that automatically adapt to changing policies, giving you real-time feedback and reports on out-of-policy spend without additional headcount. Increase visibility into what spending is happening where, which makes it easier to reduce fraud. Get a clear view of where employees are if there’s an emergency. Staying compliant with your industry’s regulations is also an important factor. With complex approval and review processes, you need to be able to set spending thresholds that put you in control over who spends what where. And you need to establish policy protocols to ensure that information about attendees and attendee-type individuals that your organization has hosted is captured in compliance with requirements of the Foreign Corrupt Practices Act (FCPA) and Financial Industry Regulatory Authority (FINRA). But it’s bigger than that. It’s about your people and, more specifically, your duty to protect them wherever business takes them. You need to be able to capture all of their itinerary data and triangulate it with global risk information and other specialized resources. This will enable you to locate, communicate with, and, if necessary, extricate every traveler in any emergency, no matter where or how they booked their trip. The mere mention of VAT has most financial services providers rightly running for cover. It’s a tax you simply have to pay, but you also have the chance to reclaim some of it – which is a complete headache. And because it’s only a partial exemption, it can be viewed as small potatoes. But VAT also a provides a perfect example of the importance of clearly seeing your spend: If your annual T&E spend is $ 5 million, and you can reclaim VAT on just 20% of that – that’s $ 200,000 you could put back in your budget. This, of course, requires data. And data, of course, isn’t always easy to acquire. So how do you get it? By making it simple for employees to provide it. Give them easy, mobile tools, and employees can simply snap a photo of a receipt and hit “send.” The expense gets read, automatically matched to the transaction, and uploaded to an expense report. With these types of tools, expense reports virtually write themselves, employees have more time focus on work, and you turn data into money. The more visibility you have into T&E, the more control you have over everything. And when you have both, you have a lot less risk to worry about. You can manage every detail of your spend, automate your processes, protect your travelers, and get real-time data accuracy and insights – plus enterprise-class security solutions that protect against cyber attacks. To learn more, reach out to T&E experts.